Assisted living facilities generally provide living arrangements in environments that are almost similar to those at home. Depending on the assisted living facility, they may consist of individual apartments and/or rooms in which residents can either share or live alone. But these are not the vital aspects as titled in this article. If you’re truly interested in an assisted living facility over in-home care services and other services, then see the attributes we detail below. Before considering an assisted living facility, there are several factors that should be considered. Below we highlight the 5 vital aspects of healthy assisted living facilities. Ideally, an assisted living facility should have an outward appearance and location that is beautiful, whereas the lobby ought to be homelike and equally attractive. The staff should be kind enough to offer visitors and residents kind greetings, and their interaction with residents should be warm. A good assisted living facility is one in which residents freely socialize with their peers. Additionally, they should appear to be generally comfortable and happy. An assisted living facility ought to provide three nutritionally-balanced meals daily (for every day of the week), snacks as well as special foods on request/ accommodate individual dietary needs. Depending on residents’ needs and preferences, the meals should either be provided in common dining areas or taken to rooms. It’s advisable to choose an assisted living facility that has the following physical facilities; an easy to follow floor plan, doors/ rooms/ hallways that can accommodate wheelchairs, elevators and hand rails that aid those who have difficulty in walking, easy-to-reach shelves and cupboards, floors made of non-skid material and sufficient lighting (both artificial and natural). 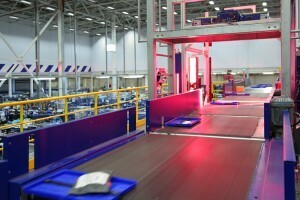 The facility should also have security features such as fire extinguishers, clearly-marked exits and smoke detectors. There should be sufficient proof of organized activities such as; posted daily schedules, visitors, on-going events and reading materials. Residents should be encouraged to actively participate in recreational activities. The assisted living facility should either have its own pets or allow residents to come along with theirs. Family members and other volunteers should be encouraged to visit and help in conducting certain programs on a regular basis. A good assisted living facility should have a comprehensive residency agreement as well as a written plan-of care for every resident. It should have a process of assessing and meeting individual needs of each resident. It should also have government, corporate or privately-sponsored programs which help in covering the costs incurred by needy residents. The facility should ensure that employees are always available to provide assistance with daily living activities such as; dressing, toileting, eating, bathing, mobility, grooming and hygiene, among others. Ideally, a senior assisted living facility should have specific policies concerning storage of drugs, record keeping, supervision and training of employees. The facility should also have policies regarding administration of drugs, coordination of visits by healthcare personnel, response to medical emergencies as well as availability and/or extent of supplementary services. Because more personalized programs, like home care Peoria, is not an option for some families, assisted living offers a sound solution. 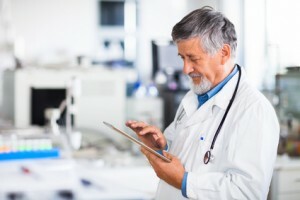 Before admitting your loved one into an assisted living facility, it’s important to ensure that the facility has or provides; a conducive environment, proper food and nutrition, appropriate and adequate infrastructure, excellent recreational and social activities, satisfactory services and amenities as well as excellent health care and medication. Cases of poor mobility due to spine issues have been on the rise. The prevalence of spinal conditions is more common among older people but is also affecting younger people today. In fact, spine surgery statistics have reached an all-time high in the U.S.
Dr. Richard J. Hodes, the director of National Institute on Health (NIH), occasional stretching helps loosen up and flex the muscles. It is advisable to stretch before performing any heavy lifting or at regularly intervals while sitting, standing, or walking as it improves movement and minimizes chances of the tissues becoming static. 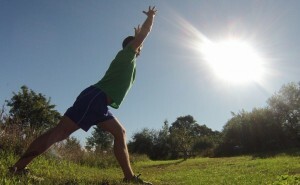 A look at the compelling statistics from StretchNow.com.au indicates that there are different forms of stretching exercises and each has its unique advantages and disadvantages. Yoga, although it may look simple, is a highly-effective practice for boosting mobility and spinal health. It can be done from anywhere and by anyone regardless of age. The activity is known to boost relaxation, flexibility, and mind peace. Yoga can also boosts muscle mass, blood circulation, muscle activity, sensation, quality of life, and also reduces bone mineral density. Being a low-impact activity, chances of getting injured from engaging in the activity are also minimal. Soft tissue work can help deal with mobility and health issues that affect the spinal cord. According to statistics from the National Health Society, UK, simple activities such as deep tissue massage, foam rolling, and other forms of deep muscular penetration of the soft tissues improves mobility and health. These mobility exercises also help to reduce stress and enable us to down-regular, inducing better sleep and overall well-being. According to Sustrans.org, many people do them less often than they should. “Get up and move.” This is the advice given by Ezra Fishman, demography doctoral candidate at the University of Pennsylvania, the National Institute on Aging (NIA), researchers from Johns Hopkins University, and the National Cancer Institute. 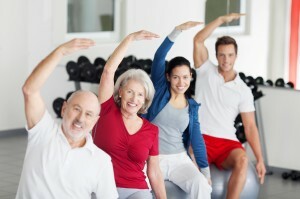 Individuals above 50 year old don’t need to engage in strenuous workouts. Simple strength training movements such as sweeping the floor, dancing, washing dishes, or sweeping can help loosen and strengthen the muscles, tissues, and spine. Foundation Training is a unique type of workout that has been growing in popularity. Foundation Training, like Yoga, is preferred because of its simplicity yet it is highly effective. The exercises target the soft tissues, muscles, and other elements of the spine and makes them more flexible as well as stronger. Nonetheless, it is always important to seek guidance from a reputable and competent trainer or practitioner. Foundation Training is vital for athletes, particularly endurance athletes like those looking to become a better triathlete. Issues and diseases related to poor mobility and unhealthy spine have been on the rise. In fact, in some situations this can lead to life threatening diseases such as stroke, heart attack, disability, mental disorder, and others. 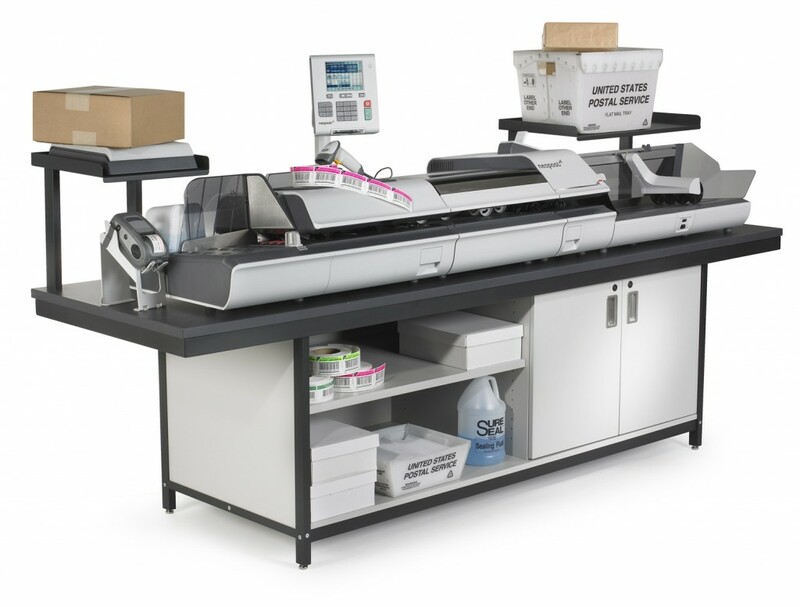 Preventing such conditions doesn’t have to be a strenuous or costly activity. Enhancing mobility and spine/spinal issues can be as simple as doing yoga, dancing, swimming, walking more often. 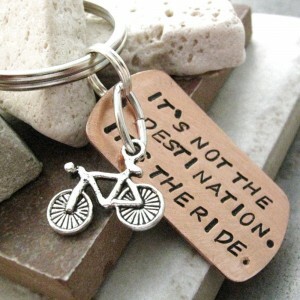 Are you looking for an inspiring collection of novelty cycling gifts? Today, there are more cyclists gifts than ever, ranging from unique and original cycling jerseys to functional components to make the riding experience more enjoyable. If you want to give someone a great cycling gift that will make him feel so proud, consider reviewing some of the best cycling jersey gifts in the market. Below are five our top picks for novelty cycling gifts that are sure to spark the right recipient. 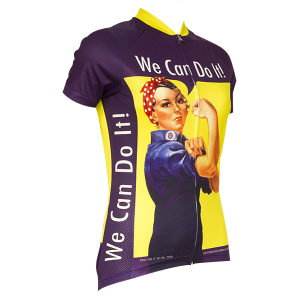 The Rosie the Riveter women’s cycling jersey contains an iconic image that was created by Howard Miller. The jersey contains a slogan entitled “We Can Do It” and it represent the 6 million American women who worked in various factories during World War II. Rosie was a fictional character that was featured in a propaganda-campaign designed by the American Government to entice more women into World War II. Rosie Riveter is commonly used as a great symbol of feminism and strong women economic power. Over the years Rosie has become a great role model of women’s advancement and betterment through solidarity. Rosie embodies both positive change and rugged individualism, and inspires us to soar greater heights. Find the Rosie the Riveter cycling jersey and other novelty cycling jersey gifts at Retro2Ride.com. 2. It’s Not The Destination. It’s the Ride. 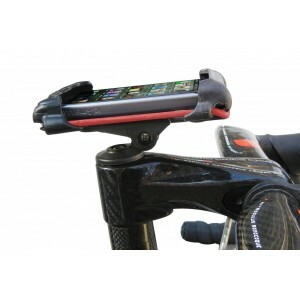 The Smartphone bike mount is another great gift that you can give your friends. It allows one to access important riding features such as Google maps, GPS tracking, number of raps and total distance covered with bike. This device is very useful and can be mounted on the bikes handlebars for easier access. 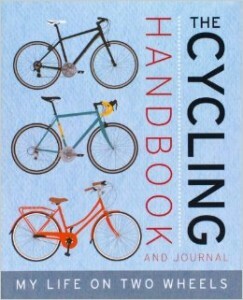 The Cycling Handbook contains everything a cyclist needs to know about all cycling activities. The book can help one to learn how to discover new routes, how to perform first aid and carry out basic bike maintenance. Beside this, the book includes a lot of useful information that can help someone to become a better cyclist. Get the paperback at Amazon.com for $9.99. 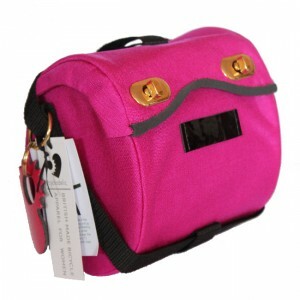 This amazing beautiful bag can be used to carry valuable items during a ride. It well designed and can be perfectly mounted under the bike seat. There are different colors that one can choose from, starting from: red, pink, green, yellow and black. With the above cycling gifts, you can put a smile on someone’s face by surprising him or her with any of the above gifts. 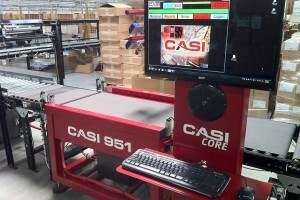 All of the above gifts can be purchased online and you can search for customers reviews to learn more about their durability and special features. 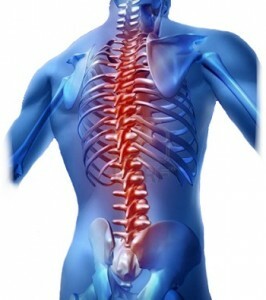 Debilitating spine conditions are often caused by poor mobility and behavioral movement patterns. When we put ourselves in compromised positions time over time, the spine starts to break down. This means that in the intervertebral discs can lose water content and weaken. Poor spinal mechanics also affect the facet joints as they start to become arthritic while the ligaments calcify. The degenerative development causes the spinal cord, nerve roots, and spinal nerves to become cramped if it’s inflamed or misaligned thus invading the spinal canal. 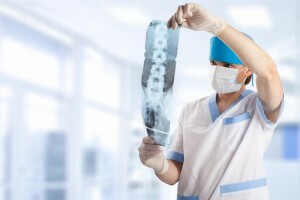 Let’s discuss about five of the most common spine conditions which requires spine surgery. The most frustrating aspect of having Ankylosing Spondylitis is feeling pain not because of exertion, but from doing the simplest things. Its most common symptom is experiencing back pain while the stiffness gets even worse when you try to rest. Ankylosing Spondylitis often feels worse during the morning which could be very stressful. The pain could also be felt in the hips, shoulders, neck and feet. The main treatment used to treat Ankylosing Spondylitis is Transcutaneous Electrical Nerve Stimulation (TENS). 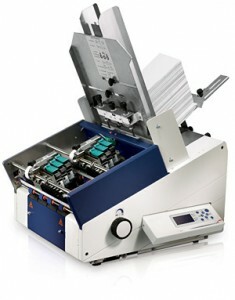 It involves the process of passing an electric current within the skin. It’s similar to the concept of acupuncture. It brings out the release of the natural pain relievers in our body. In the worst cases of Ankylosing Spondylitis, spine surgery is the only method to cure it. Decompression, osteotomy, and spinal instrumentation are the most recommended procedures depending on the severity of the deformity. 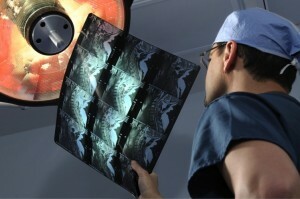 Spinal Tumors often require a delicate and complex spinal tumor surgery. The main goal is to eliminate as much of the tumor as possible. It’s essential that the other important parts and surrounding structures of the spine will not be disturbed. Similar to all other surgeries, it always has the best results when done by a specialist who has years of experience in the field. There are a few therapies which are commonly recommended to treat the tumor and relieve symptoms. One of them is corticosteroids which are drugs taken to decrease swelling when the spinal tumor presses against the spinal cord. Another therapy is surgery which is often performed when it cannot be removed by any other operation. In this instance, it’s highly suggested to consult an experienced expert like Doctor Joshua S. Rovner, M.D., a reputable spine surgeon in New Jersey who also practices in New York. People who have Lumbar Disc Herniation requires an individualized treatment for each patient. The options that will be provided by the doctor solely depends on the length of time wherein the patient first experienced the symptoms. This condition involves extreme back pain problems. Another thing which is considered is the nature of the symptoms when there is numbness. Having Degenerative Disc Disease often causes lower back pains specifically in young adults. The good thing about it is that even though it’s usually experienced in a longer period of time, it’s easily manageable. There two main treatments available to cure it. Passive treatment is done to the patient while active treatment is done by the patient. Some examples of passive treatments are pain medication, chiropractic manipulation, epidural injections, ultrasound and massage. On the other hand, the most common active treatments are exercise, weight loss, ergonomics and quitting smoking. However, people who have ongoing severe and disabling pain will not be able to wait for the effects of the treatments to take place. This is when the doctor will advise the need to embrace spine surgery. This condition is mainly experienced by the elderly, specifically those over 60 years old. It occurs when the spinal canal slims down to the extent wherein the spinal cord and nerve roots become compromised. The most common symptoms of weakness, pain and numbness is called Neurogenic Claudication. These are less severe than the symptoms of disc herniations. This is because it affects plenty of roots compared to only one root. 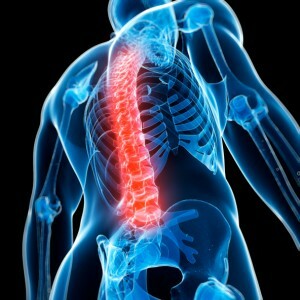 In cases like these, it is recommended to consult an experienced New Jersey spine specialist. When the person stands up or walks, the pain worsens because of the movement in the spinal canal. When sitting down, it relieves the pain by forming in a straight manner which stretches the ligament opening up the spinal canal. 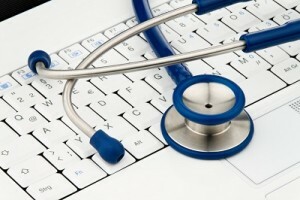 The most common treatments for this are exercises, activity modification, epidural injections and medication. 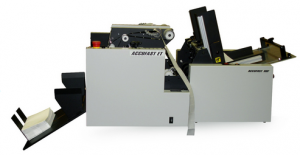 However, in its most advanced complications, decompression surgery is required.